Not to name names (cough, cough, Equifax), but it seems a particular data breach involving the sensitive information of 145.5 million people may have something to do with the spike in identity-related crimes reported in Javelin Strategy and Research’s 2018 Identity Fraud Study. As if 2016’s record didn’t serve as warning enough, along comes 2017 with 1.3 million more people—the total coming to 16.7 million identity fraud victims with the amount stolen rising to $16.8 billion—still significantly less than the record loss of 2012, which was $22 billion—but clearly a disturbing bit of news for consumers. Translation: public concern is at an all-time high. People know identity theft is a real and present danger; they know there are defensive strategies that can help stave off an attack on their personal finances, and yet more people are getting got than ever before. First, the facts: While attacks on healthcare and still more esoteric kinds of identity fraud do happen, the overwhelming number of cases reported are about money. There are the smash-and-grabs and the deaths by a thousand cuts, but what all these scams have in common is the use of personal information to trick an organization into enriching a criminal using the power of an individual consumer’s personal financial situation—most often their creditworthiness. As anticipated, the adoption of EMV (embedded chip-card) technology had a whack-a-mole effect last year. With card cloning no longer an option, and with that the use of physical cards, thieves migrated online where card-not-present transactions provide the perfect workaround. Opening new accounts was yet another growth area for identity thieves in 2017, especially intermediary accounts like Paypal and Amazon, which thieves have discovered aren’t always noticed right away. These incursions can be caused by a guessing game based on data exposed and sold on the dark web, or poorly defended cell phone and email accounts. Once a thief gains access to one of these accounts they can re-set passwords, shipping addresses, bank accounts and the like directing all stripe of fraud. Text and email alerts about transactions don’t work if a thief changes your access credentials. 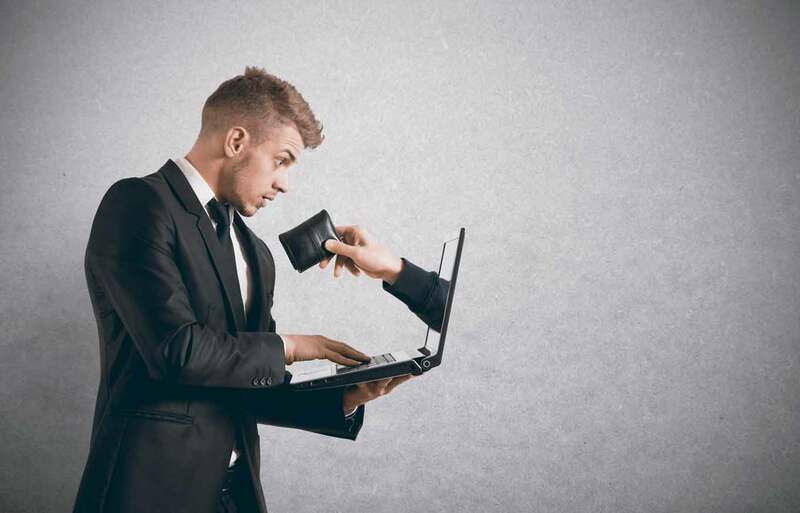 While ID theft may seem like a victimless crime, the Javelin study found that the average account takeover costs the victim $290 in out-of-pocket expenses, and that’s not taking into account the 16 or so hours it usually takes to resolve the matter. Incidents of account takeover were three times higher in 2017. Identity thieves are very good at cobbling together what they need to know in order to trick an organization into opening the floodgates, whether that means the loss of money or services. The Equifax breach made identity theft a lot easier last year, since it included the skeleton key for all things identity-related: Social Security numbers. While money is the usual focus, all scams are not focused on a dollar amount. Some scammers steal services, like healthcare, and still others target reputation to commit crimes or to evade an arrest warrant. The treasure trove of SSNs made available to criminals by the Equifax breach should be a matter of grave concern for all consumers as should be the evolution of the kinds of fraud that are not only working, but proliferating. Be paranoid. Practice the Three Ms that I discuss at length in my book Swiped. Minimize your exposure. Don’t authenticate yourself to anyone unless you are in control of the interaction, don’t over-share on social media, be a good steward of your passwords, safeguard any documents that can be used to hijack your identity, and freeze your credit. Monitor your accounts. Check your credit report religiously, keep track of your credit score, review major accounts daily if possible. (You can check two of your credit scores for free every 14 days on Credit.com.) And of course, sign up for transaction alerts on all your financial accounts. Manage the damage. Make sure you get on top of any incursion into your identity quickly and/or enroll in a program where professionals help you navigate and resolve identity compromises–oftentimes available for free, or at minimal cost, through insurance companies, financial services institutions and employers. Remember that all your accounts matter, but especially the ones that you use for two-factor authentication, i.e., your cell phone and email. Good security requires at the very minimum something you have (your cell phone, access to an email account) and something you know (a password, answers to security questions). If any of the places where you do business or maintain accounts offer you the ability to set up even more robust authentication than two-factor, you should do it. Javelin has issued five tips to help consumers ward off fraud.